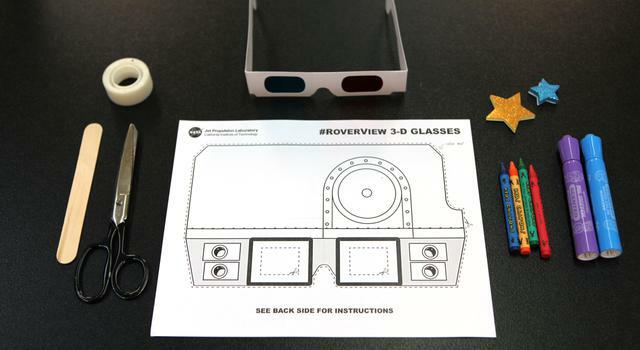 Make your own pair of 3-D glasses fashioned after NASA’s Mars rover Curiosity! 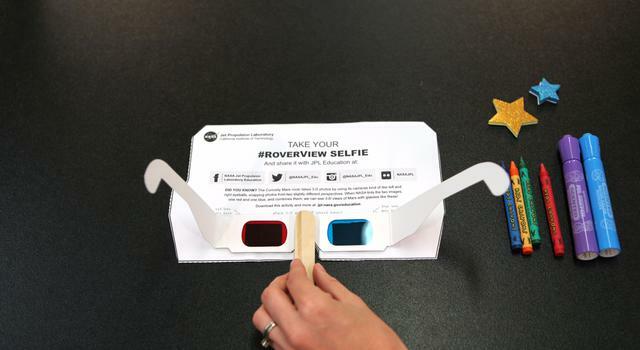 Customize your glasses with crayons and other decorations, then show us your work. Cut around the outside edge of the template. Then cut out the inner squares to make holes for your lenses. 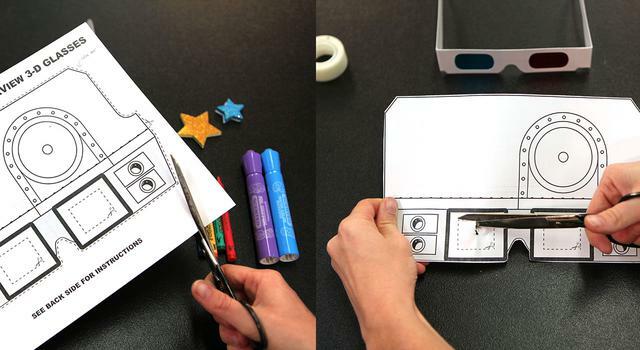 Use glue or tape to attach a pair of 3-D glasses to the back of the template. Or, if you’re using theater gels or another transparent material for your lenses, attach the red lens on the back left side and the blue lens on the back right side. 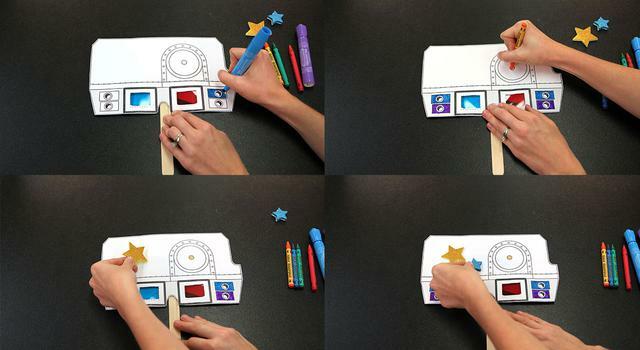 Attach a Popsicle stick or tongue depressor to the back of the template. 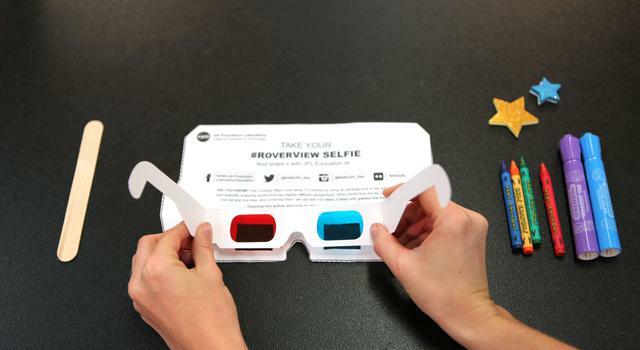 If you don’t use 3-D glasses for your lenses, this will allow you to easily hold you mask in place. Use crayons and markers to draw designs on your mask and add decorations like stickers, pipe cleaners and pom-poms. See where your curiosity takes you! 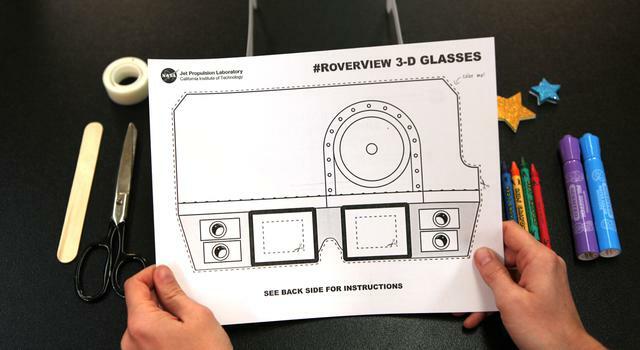 Snap a picture wearing your new, stellar 3-D glasses and share it with JPL Education on Facebook, Twitter and Instagram using the hashtag #RoverView. Be sure to get your parents’ or guardians’ permission before sharing your snaps online. 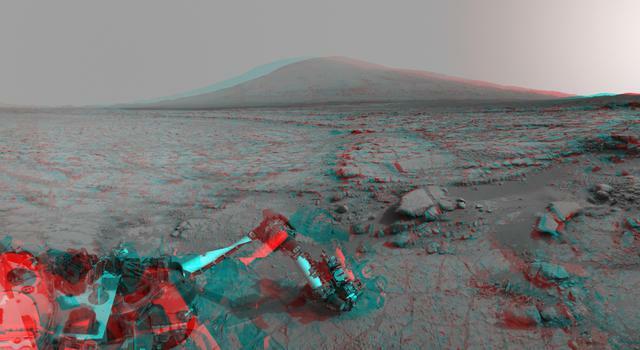 Use your 3-D glasses to look at stellar scenes from Earth to Mars and beyond. 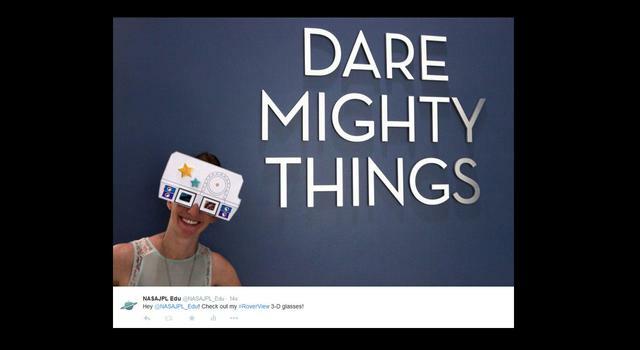 Check out 3-D space images!